There has been some important practical research done over the years regarding the Earth’s energy meridians, known as ‘Ley-lines’, (English) ‘Fairy Paths’, (Irish) ‘Dragon Paths’, (Chinese) and ‘Song Lines’, (Australian Aborigine.) The first research into ‘Ley lines’ in modern times was attempted by Alfred Watkins, who first coined the term “Ley” in 1921. Our present understanding is that they are “conduits” of infinite energy marked by particular sites or landmarks which are linked together in a straight line – these alignments originally based on what our distant ancestors had intuitively perceived due to their innate spiritual connection to nature and the universe. Most cultures throughout the world have similar traditions and words to describe these geometrical lines that run across landscapes. Many of these lines and intersecting lines are extremely powerful energy zones, often creating vortexes of energy (dimensional spiraling energies). These ley lines, mark the “ley of the land”, or describe cosmic roadways that ancient people would have travelled upon. These lines are the earth’s energy or meridian system and Vortexes are essentially the earth’s acupuncture points. Vortexes often are used as sacred spaces for meetings and ceremonies. Rows of sacred trees, mystical standing stones, would often be found along these powerful energy routes. In Britain megaliths and ley-lines, are often found to be prime ley-markers, and are found to be intersections of several ley-lines (i.e. Stonehenge, and Avebury). One of the largest Leys in England, the so-called St. Michaels Ley, is aligned along the path of the midsummer sunrise and is considered astronomical. This line passes through several megalithic sites before it reaches Glastonbury, (artificially shaped to follow the direction of the ley), and then the Avebury/Silbury complex, both significant English landscape features. Stonehenge, whilst not being a part of the St. Michael’s ley, is connected through geometry, and also forms the crossing point of several prominent ley-lines – both astronomical and non-astronomical. These ancient sites all have magical mystical qualities that have attracted pilgrims for hundreds of years. However ley lines can also have a negative side. When the energy from a ley line passes through decaying matter such as a city dump, a polluted river or a graveyard it picks up the negative influences it encounters. The energy becomes what geomancers call a ‘black stream’. Similarly, energy coming beneath the earth may encounter underground water streams, geological fissures and fault lines that interfere with the earth energy. This too can cause a ‘black stream’ of earth energy. Due to these powerful energies there are locations in which it is not desirable to build. Despite the auspiciousness of earth lines and underground water, it is not uncommon for them to become sick or weakened, the most important of which involve human transgressions upon the land. These can be caused by wars, desecrations of burial grounds, disrespectful real estate development, heavy industry, mining, power lines, etc. Someone living or sleeping in these areas may become ill or emotionally disturbed by these influences. Illnesses claimed to be caused by these forces include never feeling relaxed after a night’s sleep, aching muscles and joints, emotional over-sensitivity hyperactivity and aggression. They also claim it causes a weakness of the immune system, which could lead to an inability to absorb nutrients properly and making one susceptible headaches, depression or stress. A person who is adversely affected by these negative energies is suffering from ‘Geopathic Stress’ and of course, Geopathic Stress may be the source of unwanted paranormal activity. It is believed that the vortices created from these lines of energy create a gateway between the physical and spirit realms allowing entities to move freely between the worlds. These entities can present in a myriad of different manifestations including discarnate soul parts, earth spirits, elementals, etc. 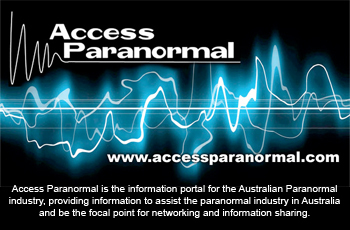 It has been documented during paranormal investigations that astral beings need energy to manifest and consequently they tap into whatever energy is available to them. Spirits can ‘feed’ on this energy to become stronger. If we work on the basis of ‘like attracts like’ black streams of disruptive energy would no doubt attract the more destructive elements of the astral world e.g. poltergeist and demonic activity. Clearings in such dwellings can become quite complicated as portals to these vortices need to be closed. There is usually a natural sequence by which one should proceed. It is strongly recommended that novices do not attempt clearings of this nature. In circumstances where negative spirit activity is encountered, this situation needs to be dealt with first before applying corrective measures to the Geopathic stress anomalies.